Local man Tim Sutherland announced this morning that he was demanding that Pope Francis create a commission to study the historical role of insufferable Catholics in the Church. 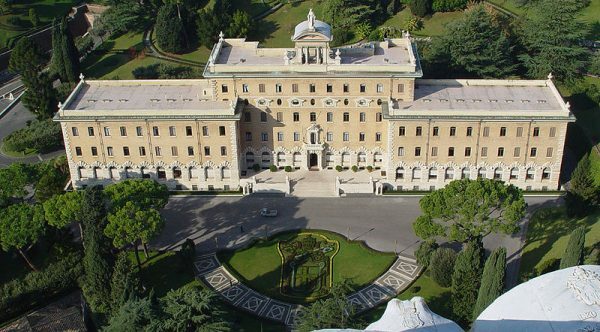 The demand for the commission was promised by a frustrated Sutherland one day after the Pope met with a group of nuns on May 12, where Francis announced that the Vatican should study the question of ordaining women as deacons. A fed up Sutherland promptly requested that Francis first study the question of whether “nagging feminists” should be allowed in the Church in the first place. “Tim Sutherland expressed his intention for Pope Francis to establish an official commission that could study the question of unbearable women and men who continually badger the Holy See for stupid and impossible things,” a spokesman for Sutherland said. Up till now, all women have been able to perform many of the same functions as men in the Church, including praying, receiving and giving communion, and participating in the Mass. They have not been given the right to say Mass, hear confession, or become deacons. But now more than ever, a growing minority of women have been asking Church leaders to give them more power in the Church, as participating in the Mass and receiving the Body, Blood, Soul, and Divinity of Jesus Christ is not powerful enough.